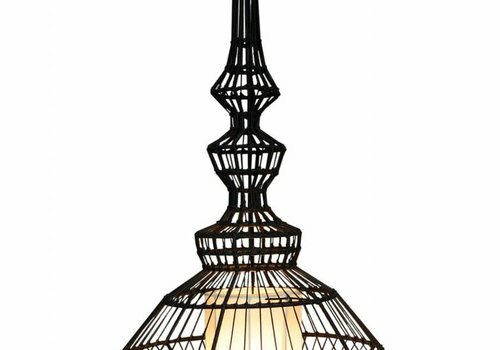 Black-toned leather wraps around the intricate cage shade. The 48 inches of included supply wire lets you install it at the ideal height for your space. 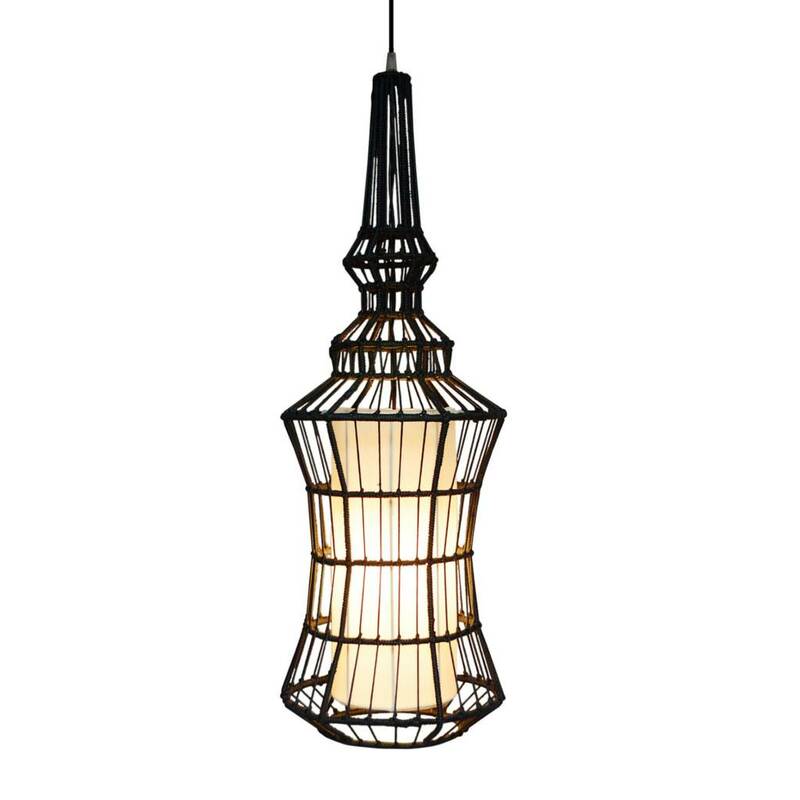 Pair with Silhouette Pendant - One for a dramatic effect in any room. 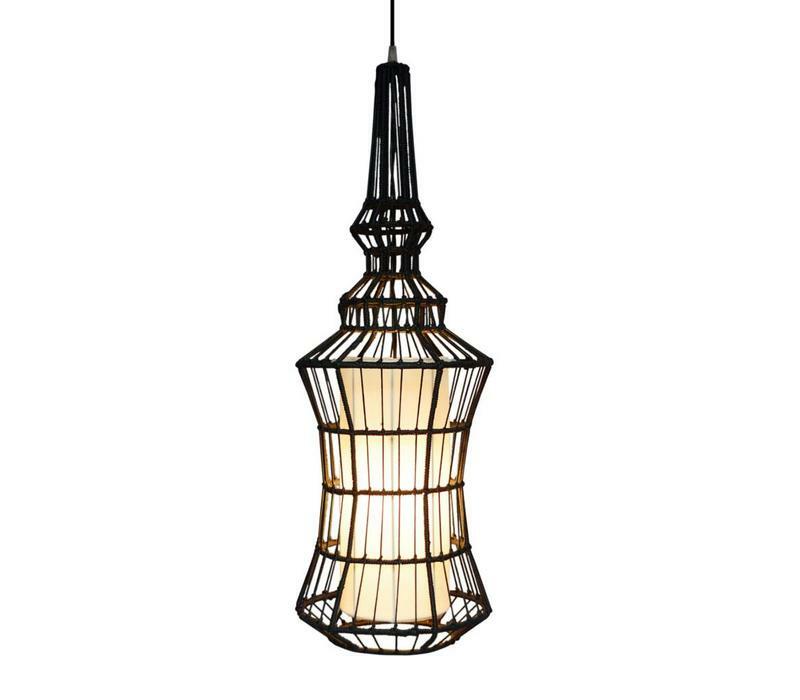 Black-toned leather wraps around the intricate cage shade. The 48 inches of included supply wire lets you install it at the ideal height for your space. 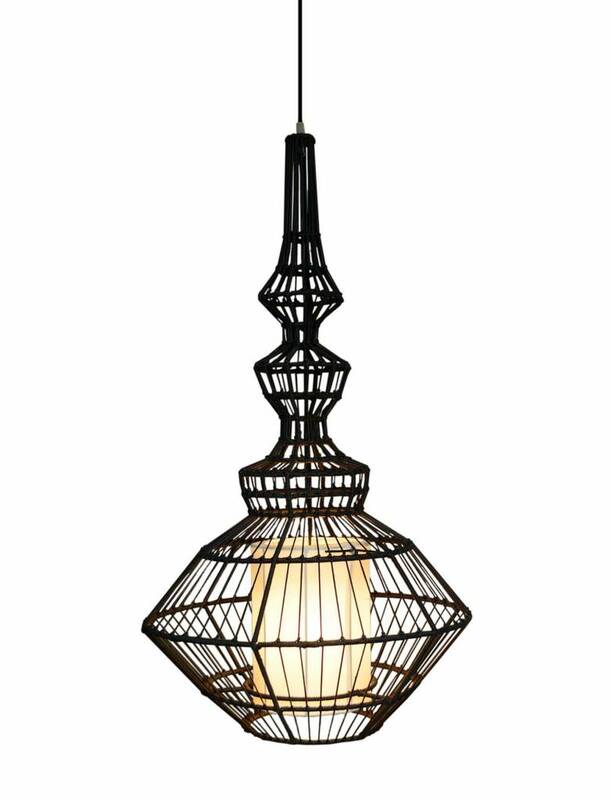 Pair with Silhouette Pendant - Two for a dramatic effect in any room.